Is is safe for me to skip my periods using birth control? Many women may want to skip their periods for a number of reasons, such as travel, a busy week, painful menstruation, etc. The good news is: Doctors say it’s just as healthy to skip your period each month as it is to have it. You have the option of using birth control to suppress menstruation. Birth Control pills allow you to skip your period altogether with continuous cycling (starting a new pack of birth control instead of taking placebo pills in the 4th week) or just have four periods a year (Seasonale and Seasonique). Using birth control to suppress menstruation is considered very safe by doctors and OB-GYNs, regardless of the length of time. Birth control users who choose to skip periods have shown no additional health risk when compared to birth control users who have a monthly cycle. Some women who skip their periods may also experience breakthrough bleeding, but it will typically subside. 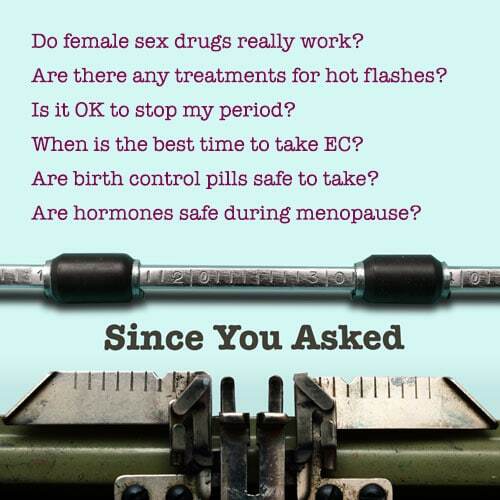 It’s also important to note that many types of hormonal birth control contain estrogen, which is known to increase the risk of developing blood clots. This risk is the same for both users who do and do not suppress menstruation. In addition, birth control pills containing drospirenone (Yaz®, Yasmin®, and Desogen®) have been found to raise the blood-clot risk even further than standard estrogen pills, without providing any additional benefit over the other available birth control options. Although there are no known health risks associated with skipping menstruation, women may express a preference for monthly menstruation because they rely on it as a signal that they are not pregnant or because they view it as a sign that their bodies are functioning normally. If you’re interested in skipping your period, make sure to check with your doctor so they can give you the best recommendation based on your needs and your medical history.